The Graduate Assembly is the official representative body of the graduate and professional students at the University of California, Berkeley. The fundamental principles of the Graduate Assembly are the promotion of a vibrant student social life, inclusiveness, progressive activism, community service, educational improvement, and professional development. In service to these principles the Graduate Assembly advocates for students, funds student groups on campus, and directly manages a variety of projects. 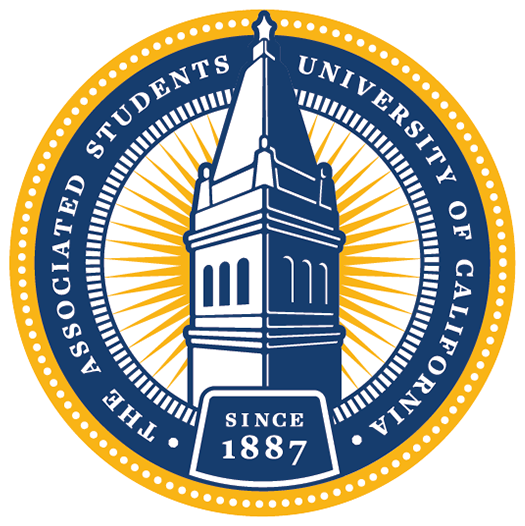 ASUC Student Union, formerly the ASUC Auxiliary, is a department within the Division of Student Affairs which works closely with UC Berkeley’s student government to provide student services to campus including a wide variety of programs and resources directly tied to student life. ASUC Student Union operates the Cal Student Store, the LEAD Center (Center for Leadership, Engaging, and Advising), ASUC Event Services, Operations & Facilities Management for Lower Sproul, and the Berkeley Art Studio (Formerly ASUC Art Studio).